Sites closely connected with our ministry in some way or which may help your life. Our mission is to educate students for Christian service and leadership throughout the world. ACU is a national leader in Christian higher education and a place where students, faculty, staff and alumni change the world. ACU is affiliated with the Churches of Christ. The university welcomes all students who value the strong Christian environment and exceptional teaching offered on the campus. Required daily chapel and required Bible courses contribute to the open acknowledgement of Christian faith as an important aspect of the lives of most ACU students. All faculty, staff, administrators and members of the Board of Trustees are Christians. The Alondra Blvd. Church of Christ strives to be a church that is Christ-centered, people-focused, and Bible-based. Our mission is changing lives to become like Christ. Our fundamental understanding of who God is and what He expects from us comes from the Bible. We believe that the Bible is much more than an instruction book. We believe that the Bible is the inspired Word of God and was designed by Him to develop our relationship with God the Father, Jesus Christ the Son and the Holy Spirit. 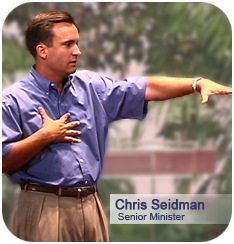 Click here for online sermons. The California State Youth Conference is an event which strives to help young Christians develop spiritually and develop Christian relationships for youth ages 13 to 20. "Where The Bible Points The Way!" We are a non-denominational congregation of Christians aiming to be faithful to Jesus Christ in every way. It is our goal and desire to teach the truth of God's word to everyone in the Canyon area as well as supporting missionaries and their families overseas. The Canyon Church is a group of Christians where the love of Christ is shared in a warm and friendly way and where people learn about God. We seek to address the spiritual needs of the entire family; kids, teens and adults. It is with a sense of reverence and praise that the Saints at the Central Pointé Church gather to worship the God of our salvation and give Him our heart, soul, and mind. The Saints of the Central Pointé Church of Christ, along with the Ministers, Leaders and Ministry Leaders, invite you to join us as we give back to God a portion of what He has blessed us to enjoy by being in Him. If you have not taken the time to know our Redeemer, we want you to come to know Him as the Lord of your life. 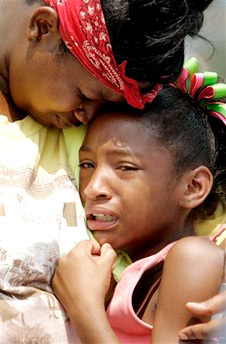 The Churches of Christ Disaster Relief Effort immediately responds to any major disaster in the continental United States by sending truckloads of emergency food, water, cleaning, and other supplies to disaster victims. Our goal as a congregation is to continue the great work God started. In His power and by the guidance of His Holy Spirit our mission will be to make a difference in the lives of His church and our community! 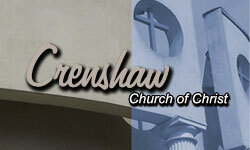 The Crenshaw congregation presently has several vibrant ministries. Some of these include Activities (Al DePillars), Benevolent (Myron Perryman), Building (Otis Burks), Education (Ben Moon), Illness, Married Couples (Mark and Wanda Henderson), Music (Paul Berry), Worship (Billy Curl), Youth (Tyson Moore), Singles (Eric Reaves), Seniors (Frank Paramore, Regina Bryant, Dorothy Coleman, Lemerce Holley, Emma Jackson, Shirley Williams, Hewitt Loupe, Dail Paramore and Geneva Simmons). 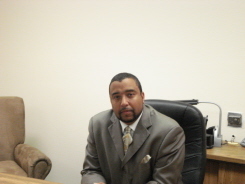 We have recently added a New Convert Ministry. Welcome to FBCC! Our mission is quite simple - to help people live in an intimate relationship with God. FBCC is made up of people from different religious, socioeconomic, and cultural backgrounds, but all claim common ground in their conviction that life to its fullest is experienced through an intimate relationship with Jesus Christ. To provide the south metropolitan area of Atlanta with a Church that passionately models the life of Christ through significant relationships of families and youth characterized by a loving, hope-filled, accepting, spiritual environment. Mountain View Church of Christ is located at 4111 W Illinois Ave in Dallas, TX (75211). The phone number is (214) 339-7146 . 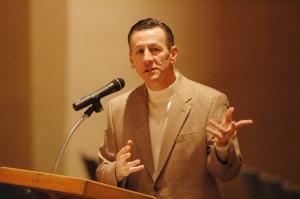 J.K. Hamilton is the minister. The Northeast Church of Church is interested in connecting with you, and building spiritual relationships. � Relevant - We talk about real life circumstances to which you can relate. � Creative - We value the use of the A'capella music, Bible Study, & media etc.) to assist in making our message clear, compelling, and penetrating. Our services begin at 8:00 a.m and 11:00 a.m and 5:00p.m. We�re a faith community of followers of Christ in Huntington, West Virginia who believe that God has called us to live as light for the sake of this world. We are not a group of perfect people. Our glory is in the cross of Jesus Christ and the saving power of His sacrifice. Norway has a relaxed nature to it with a passion for sharing Jesus. God is changing the world through us as we become Christ�s presence in this place. A college closely affiliated with our ministry and a great supporter. Pepperdine University is affiliated with the Churches of Christ, of which George Pepperdine was a lifelong member. It is nonsectarian and independent of ecclesiastical controls. Faculty, administrators, and members of the University's governing Board of Regents represent many religious backgrounds, and students of all faiths are welcome. The mission of the Portland Urban Ministry Project is to nurture a generation of urban Christians, worshiping and serving within a multi-ethnic, multi-economic congregation. *	To proclaim the liberating message of the Gospel to the surrounding community of Northeast Portland. *	To meet physical, emotional, and spiritual needs in the name of Christ. *	To nurture one another in deeper Christian faith and discipleship. Our purpose is to connect people in the name of Jesus: to provide opportunities for service to those who have resources to give, and to provide service to those who have need. It is our prayer that serving others in Jesus' name will eventually result in the ultimate connection-� people finding their relationship with their heavenly Father. We ask you to pray with us that God will use this ministry powerfully to bring the lost people of Portland back to Him. Are you looking for ways to get involved? Find out how you can help today! 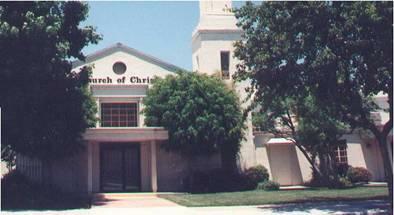 Welcome to Reseda Boulevard Church of Christ, where our doors are wide open to people from all walks of life. What visitors usually notice first is the warmth and friendliness of the people who attend our weekly services and a variety of ministries that meet a wide range of needs. We are a growing church and our size has benefits: we're big enough for you to blend in and investigate the claims of biblical truth anonymously, if you choose to. But if you look closer, you'll find that in many ways we're small. In fact, we're actually a church of small groups. And if you'd like to develop authentic and enduring relationships with others, then you'll be glad to know that new groups are forming all the time. Together, we're striving to become the kind of church described in the Bible - a church with relevant teaching, heart-felt worship, honest friendships, constant prayer, and compassionate care for those in need. In short, we'd like to have the kind of contagious Christianity that can influence and encourage the entire community, one life at a time through one bible verse at a time. So whether you're a spiritual seeker who's just starting to ask questions about God, or a member of the body of Christ who is a committed Christian who wants to sink the roots of your faith even deeper, you can find a home here at the Reseda Boulevard Church of Christ. You'll find that this is a place where you really matter, because you matter to God. 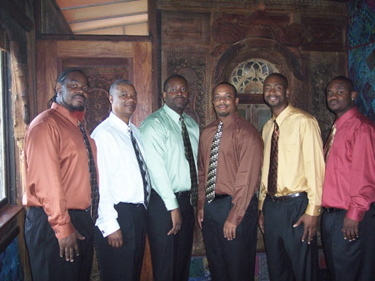 Sunday (Acappella Worship): 8:00 a.m. and 10:45 a.m. Southwestern Christian College is committed to excellence in education -- Christian education. Its primary role in the field of higher education is to offer a quality academic program in the context of commitment to moral and spiritual values. To this end, its curriculum is geared to the development of the "whole man" of each of its students. And it is the feeling of the board of trustees, administration, and faculty of Southwestern that such a curriculum will give the student the necessary foundation on which to build for further study in senior colleges and universities, and for making a lasting contribution to the society in which he lives. 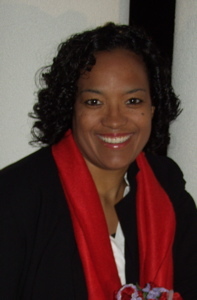 Stephanie Booker is an exciting acapella artist who loves God and sings His praises. Stephanie is the music minister at South Lyon Church in South Lyon, Mi. She is in the process of completing her first Acapella solo project which is scheduled for release in September 2006. 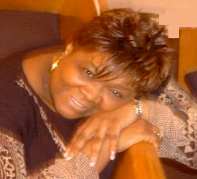 I want to thank you all who support this ministry that God has entrusted me with. I pray that you will be encouraged to live closer to God every time you listen to the songs. Live today like it's your last day, cause it could be. Come go to Heaven with me. Loving God and Leading Others To Him. The mission of the Young Adult Conference is to motivate young adults to greater devotion and service to our Lord Jesus Christ and to facilitate positive change in our local congregations by providing ideas, insights, and instruction within an environment of worship, edification and spiritual revival. To have qualified speakers and teachers deliver quality messages and classes on relevant young adult issues. To present progressive ideas and discussion in a non-judgmental environment. To encourage and revive young adults in the Lord�s church. To promote praise, consecration and discipleship among Christian young adults. A singing group from Kalingalinga, Zambia in Africa called The Zambian Vocal Group gives spirited and joyful Christian music! The harmonies are close and soothing with a warm rock solid bottom. Some are sung in their native language in a call and response style ("Thulalila Lele", "Nkabalondelanga ba Yesu") while other, more familiar songs are in English. "Swing Low Sweet Chariot" is interesting because, while you may have heard it sung a hundred different ways, this eight man group gives it an entirely new interpretation.They will be touring the United States for the next two years to raise mony for their underprivileged countrymen in Zambia. They are taking donations from all who would like to see a better educated Africa.